Barely 30 miles from the cottage, I stopped to put on my chaps and extra layers. 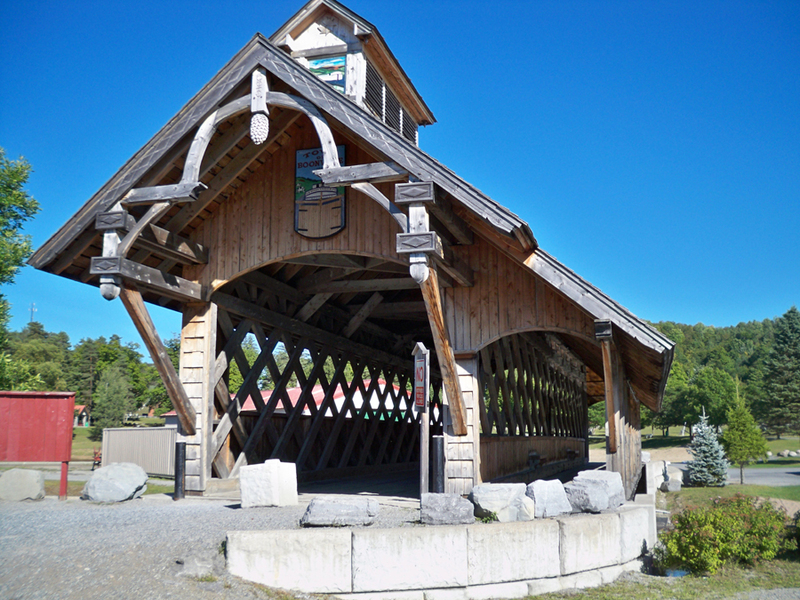 The only time I'd been warm since arriving in Ogdensburg was sitting in the sauna, the bee sting was still sapping all my energy. It would be a long ride home! The roads were impressive on the routes through Adirondack Park; smooth, picturesque, with little traffic. 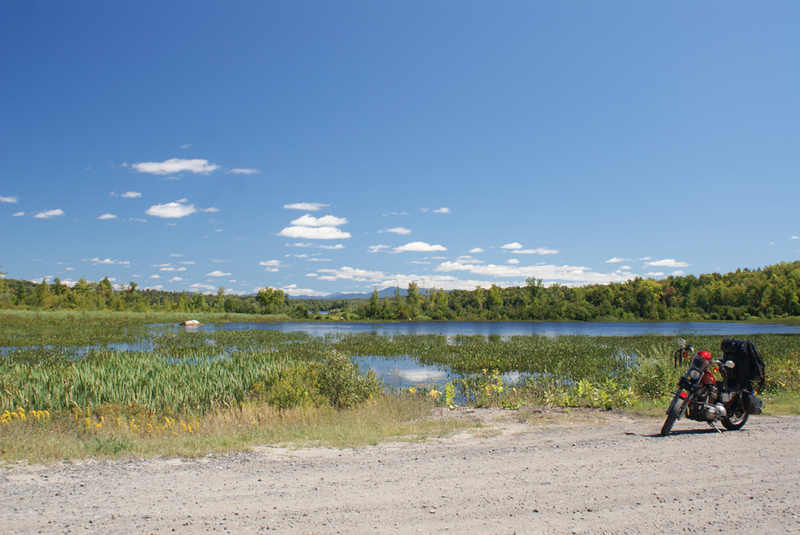 Tupper Lake brought back childhood memories of camping with my Grandparents. Inlet, a topic of kayaking conversation earlier with Leigh and Karen, provided a pit stop for lunch and gasoline. Crossing out of the park was notable as the road surfaces immediately went to crap! Finding Route 12, there was a sign reading "Booneville 6". Last November, Mr. Ed (my companion on the Adirondack Park Pin Ride in 2009) had told me he wanted to ride to Booneville! 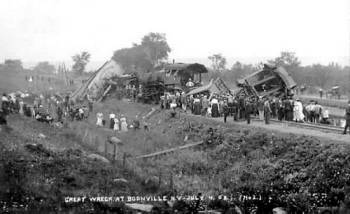 The town's claim to fame was a massive two train wreck on July 4, 1908 ... and a snowfall of over 200 inches per year! Though it was late in the day, a quick ride through town was warranted to accomplish one of the summer's designated goals! Just after turning onto Route 28, I noticed two deer standing at the edge of a cornfield. Moving slowly, we watched each other until I was nearly abreast of them. That's when Mama Deer decided to play "dodge the motorcycle"! There wasn't much room to clear her ... then Baby Deer wasn't going to be left behind! Holding my breath, I missed Baby's hind quarters by inches! In all my years of riding, I've hit German Shepherds twice, but this was the first time deer have ever come close!